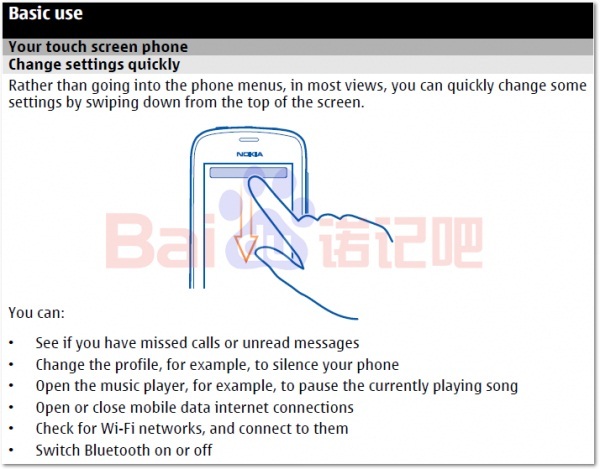 Just moments ago we posted about a leaked full-touch S40 handset coming from Nokia, and now according to a leaked manual of what we think is the same device, we believe that Nokia is bringing some new swipe gestures to its S40 feature phone platform. 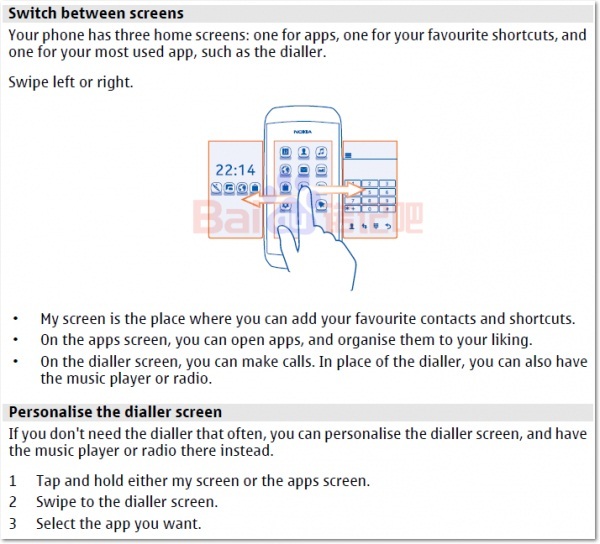 The platform will have three homescreens now, one for apps, one for shortcuts and one for a most used app, like the dialler. 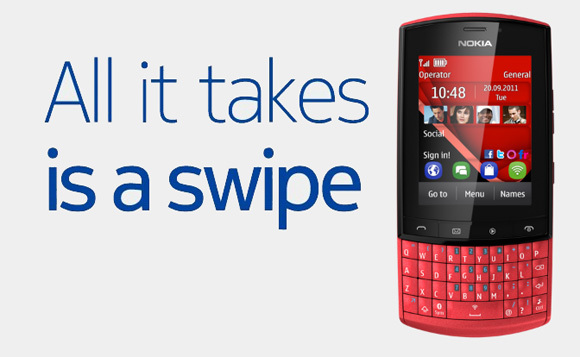 Now this reminds us of the Nokia N9, which has a similar three homescreen UI. The new gestures include swiping left or right which takes you through the three homescreens including shortcuts, all apps, and the dialer. Swiping from top to bottom will probably bring in a notifications bar which you can use to see missed calls and messages, change profile to silent, control the music player, control data connections, and so on. 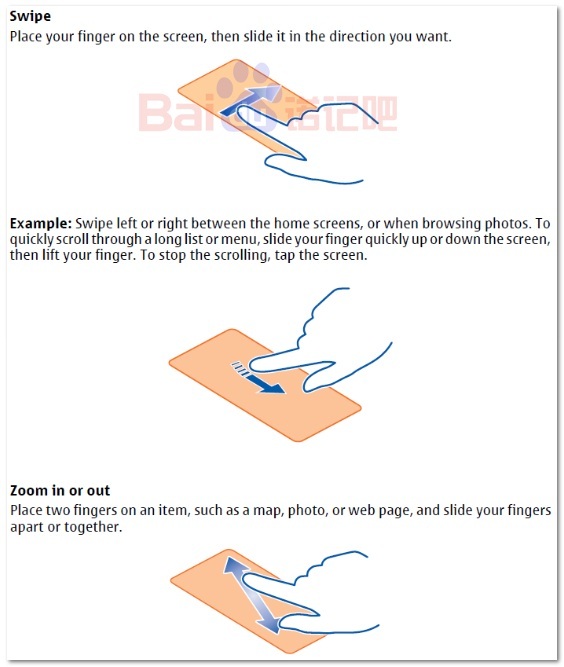 There are also gestures for navigating photos and zooming-in and out of them. These new features are all present in Nokia’s smartphone range and it seems that the company is going to integrate them into its feature phone range. Well let’s wait and see what Nokia is going to go about it.